Wander through the old town’s tiny, narrow cobbled streets and soak up the buzz of designer boutiques, old fashioned bodegas and traditional bars and then sample the local speciality of “pescaito frito” - an assortment of small fried fish including sardines and anchovies accompanied by a chilled glass of local white wine; while away a relaxing morning sunbathing on the terrace of your luxury villa with splendid views of the Mediterranean before wandering into town to immerse yourself in the cultural splendour of Málaga’s most famous son – Pablo Picasso; enjoy a challenging game of golf on one of the many world class courses and then treat yourself to a boat trip around the beautiful rocky coastline before coming into town to explore the many local tapas bars and bodegas. Located in the most southerly part of Spain on the western coast of the Costa del Sol and blessed with a subtropical-Mediterranean climate, there is an excellent range of Málaga property for sale offering investors the opportunity to become part of this vibrant and cosmopolitan seaside town. Founded by the Phoenicians and occupied by the Moors until the mid-fifteenth century, Málaga is the second largest city of Andalusia and is famous for its wonderful architecture, fabulous cuisine and lively nightlife. Málaga’s Moorish past is reflected in the impressive Alcazaba – a military fortress and royal residence dating back to 1065 and now a fascinating archeological museum. In the 19th Century Málaga became a popular winter resort for the rich and famous and was renowned for its elegance and sophistication, which is reflected in the beautiful park on the Calle Alameda which is one of the most celebrated botanical collections in Europe. Today Málaga is a vibrant and cosmopolitan city bursting with culture, fabulous seafood restaurants, beautiful beaches and harbour and an historic and picturesque old town. Birthplace of Pablo Picasso, art lovers will relish visiting the famous Picasso museum and visiting the house where the renowned artist was born. Alternatively visit one of the most impressive buildings in Málaga - the market hall with its resplendent marble entrance – and wander through glistening mountains of fresh fish and seafood, colourful piles of vibrant fruit and vegetables and beautifully scented flowers. The market hall is in the middle of the old town which is full of charming bars and traditional restaurants – try a tapas and glass of local wine at Málaga’s oldest tapas bar “Antigua Casa de la Guardia”. Golf lovers are also spoilt for choice as there are over one hundred world class courses dotted in the region and if that is too energetic for you then simply stroll down to the harbour, order a glass of cool beer or wine and watch the sun set over the mountains and sea. 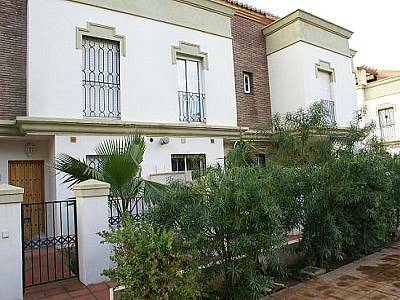 Due to its popularity in both winter and summer, Málaga property for sale is an attractive investment with a strong rental market all year around. Although property prices in Andalucía declined by over 6% in 2013, the average price for property in Málaga has remained strong due to the continuing interest in all types of Málaga property for sale. 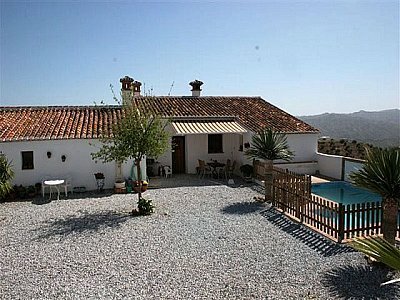 There is a wide range of Málaga property for sale including traditional Andalusian farmhouses, stylishly modern apartments and luxurious villas with prices to suit all tastes and budgets. For around €350,000 - €500,000 there are stunning penthouses with large south facing terraces commanding superb sea and mountain views; light and airy rooms have wooden floors or cool tiles and state of the art kitchens and bathrooms – some also have swimming pools and gardens. In Limonar - one of Málaga’s most exclusive residential areas – there are elegant 1920’s townhouses to be had for €450,000 or choose a luxury villa; prices start at €350,000 for spacious, modern 4 bedroom villas with large roof terraces, lush green garden and swimming pools and go to over €2m for grand and secluded villas with stunning views over the bay of Málaga and the mountains, infinity swimming pools, private home cinemas and beautiful landscaped gardens often with fruit orchards and olive groves. Whether you decide to buy a 1920’s townhouse with walled garden, a modern apartment with sun soaked terrace and panoramic views or a luxury and secluded villa gazing out across the sparkling Mediterranean Sea, the wide range and standard of Málaga property for sale provides investors with the perfect opportunity to buy property in one of the most vibrant and sought after towns on the Costa del Sol and enjoy a quality of life that is second to none. Although more expensive compared with the rest of Spain, prices in Málaga are still reasonable so now is a good time to buy. The combination of the sea, the historic old town set against the mountains and the wonderfully mild climate all year around make Málaga a perfect holiday and property investment destination.